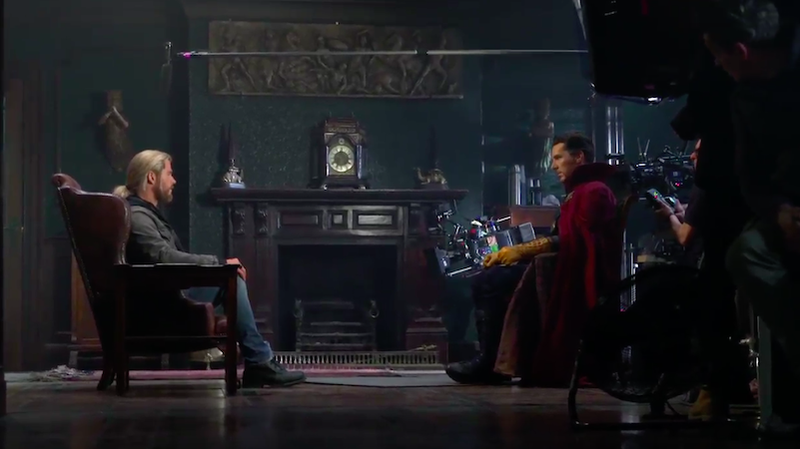 One of the most charming moments of Doctor Strange was the end tag which brought Thor into the Sanctum Sanctorum to ask some help from the Sorceror Supreme. Here’s a little behind-the-scenes featurette from the Doctor Strange release which shows what goes into making these tags (besides beer). I’ll admit it: this does make me excited to see Strange in Thor: Ragnarok, but Cumberbatch’s American accent still makes my skin crawl. It also makes me want to apologize to everyone else in the world on behalf of Americans doing this. This and other extras will be available when Doctor Strange comes to Digital HD February 14 and Blu-ray February 28.